The Eye And The Face Behind The Pyramid! Why they want us to believe in a god in human form? Is it to condition us, to believe in coming dajjal as a god? So who designed the dollar and the seal on the one-dollar? Why he put these magical symbols on the seal on the one-dollar bill? Who is the grand architect which masons worship? Was that God the architect of havens and earth? Or was that some one else? 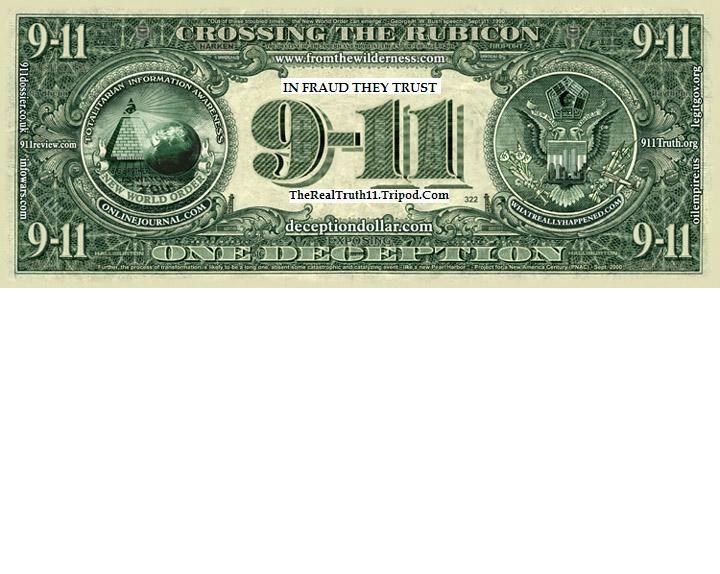 “In God we trust”, but this is a secular state does not trust God’s way, it has its own human way of rule, which means no Bible, Torah or Quran, Has any say in the way of life or in court or in the government. So, who is that “god we trust”? And the word “trust”, why not in god we believe Or to god we aspire Or to god we pray? No holy book has the word in god we trust? And why the masons call god the grand architect? God is the creator not only the architect, the architect does not create, make or touch any thing except his instruction pencil, but God said in the Quran: [38-75]. He “God” said: O Iblis (satin)! What hindereth thee from falling prostrate before that which I have created with both My hands? Art thou too proud or art thou of the high. [51-47]. We have built the heaven with mighty hands, and We it is who make the vast extent (thereof).. So God is not only the architect, but he is the Creator of man, and every thing else. So, why they say the grand architect? If they didn't mean God, then whom are they talking about? What is the diagram of this grand architect? How does his designs look like? So, who is the architect of the seal, and the one-dollar? On Independence Day, 1776 a committee was created to design a seal for the new American nation. The committee's members were Benjamin Franklin, Thomas Jefferson, and John Adams, with Pierre Du Simitiere as artist and consultant. Benjamin Franklin was a Mason, and he contributed a Masonic nature to the committee's proposed design for a seal. Du Simitiere, the committee's consultant, contributed several major design features that made their way into the ultimate design of the seal: 'the shield, E Pluribus Unum, MDCCLXXVI, and the eye of providence in a triangle. "The single eye was a well-established artistic convention for an 'omniscient Ubiquitous Deity' in the medals art of the Renaissance. Du Simitiere, who suggested using the symbol, collected art books and was familiar with the artistic and ornamental devices used in Renaissance art. Early American Numismatists. There were a few active numismatists in the Revolutionary War period, but the first well-documented collector was the Swiss-born Pierre Eugene Du Simitiere of Philadelphia. By 1779, Du Simitiere had at least 135 ancient and modern coins and medals. He eventually exhibited these in a museum he set up in his home. Besides collecting, Du Simitiere was also a designer of medals for the war. Most numismatists in the late 18th and early 19th centuries also collected other objects, such as books and antiques. Quite a few were military and political figures, including a mayor of New York City, a descendant of Benjamin Franklin, Commodore Matthew Perry, and President Andrew Jackson. By 1838, growing interest in numismatics prompted the U.S. Mint to establish a Mint Cabinet of U.S. coins, which was funded by Congress the following year. This eventually became the National Coin Collection, which today is part of the Smithsonian Institution. The First Committee. The challenge facing the committee with Franklin, Adams, and Jefferson, Pierre Eugene Du Simitiere was to translate Biblical and classical themes, including the Children of Israel in the Wilderness and the Judgment of Hercules intangible and principles and ideals into graphic symbols. Pierre Eugene Du Simitiere brought some knowledge of heraldry -the art of describing coats of arms- and also experience in designing seals. Four features recommended by the first committee and its consultant were later adopted in the final seal: the Eye of Providence and the date of independence MDCCLXXVI both of which appeared on the final reverse side of the seal, and the shield and Latin motto, E Pluribus Unum (One, Out of many) on the front side. The first committee submitted its design on August 20, 1776, but the Congress ordered the report "to lie on the table," indication lack of approval. Portrait artist Du Simitiere's design for Franklin, Adams, and Jefferson suggested shield, Eye of Providence in radiant triangle, and motto, E Pluribus Unum, all used in final design. Drawn from original in Thomas Jefferson papers. John Adam wrote in a letter to his wife on August 14, 1776 he said: This Mr. Du Simitiere is a very curious man. He begun a collection of materials for the history of this revelation. He begins with the first advices of the tea ships. He cuts out the newspapers, very scrap of intelligence, and every piece of speculation, and pastes it upon clear paper, arranging them under the head of the state to which they belong and intends to bind them up in volume. He has a list of every speculation and pamphlet concerning independence, and another of those concerning forms of government. The distinguished committee members - Franklin, Adams, and Jefferson - had little knowledge of heraldry, therefore for they brought in Pierre Eugene Du Simitiere. A remarkable and “curious man” with many skills and interests, Du Simitiere was quiet proficient in the science of heraldry, (a person who has the care of genealogies and of the privileges of families to use coats arms). Born in Geneva, Switzerland, Du Simitiere was then 38 years old. He had come to America 13 years earlier, in the 1763 from Jamaica where he lived after leaving Europe at age 20. In the West Indies he gathered natural history specimens, created charts and tables, and accumulated notes on West Indian life. He earned his living by cutting silhouettes, and painting portraits, and there he gained some fluency in English. Du Simitiere lived in New York City for nine years as an itinerant Collector and researcher. His passion for collecting was insatiable and almost boundless. “His early interest in natural history had expanded to embrace geography, Geology, mineralogy, archeology, numismatics, and every aspect of American history, including aboriginal, general, local, political, social, and cultural history. He collected books in English and other languages and was bibliographer Of skill and breadth. He accumulated pamphlets, newspapers, handbills and every other kind of political publication. He strove to record the history of the colonies, including their differences with England and their eventual struggle for independence. Perhaps oddly for a collector, he was generous in lending books and other materials from his collections. In 1781 the collage of New Jersey (now Princeton) granted him an honorary degree of Master of Arts. “All the while he continued to practices his profession of artist and painter, From which he earned a precarious living. He drew designs for a variety of states, local, and institutional seals. He drew maps, frontispieces, and technical illustrations for publications. he did pencil, chalk, and water - color portraits for a fee-though he seems not to have worked in oil. He seized every opportunity to sketch from life the notables, both American and British, who came to Philadelphia, and more often than not his sketches went into his own collection. “His great personal vision embraced the founding of an American museum and the compiling of a history of the colonies. Some ten years ago a new England woman, by the death, in Baltimore of an elderly relative, became the possessor of many rare curies and also of a valuable library, while looking over her new possessions, before packing them for removal, she discovered a bound volume of manuscript. Evidently the former owner had not attached much value to the book, for it was lying of the floor with hundreds of other volumes. But the new possessor at once recognized the value of the discovery. She knew she had unearthed a treasure - something quite out of the ordinary. The book is bound in Morocco and conventional figures. Experts pronounced the binding a specimen of the ornate French stile, and Workmanship of 125 years ago, or previous to the time of our Revolutionary war. The first initial so illuminated represents a monk at a table writing, the feature of the face is of a high born Frenchman. The fur on his garment looks like sable and so perfectly finished and so fine and delicate is the work that a powerful [magnifying] glass only brings out new beauties. The colors are the most vivid of reds, greens, yellows and blues, while the gold is as bright as it could have been when first used, evidently all the designs for the initials, as will as for the ornamental titles of chapters and the tail pieces, are original. One Lilt is written in a single word of large capital letters, each letter entwined with a wreath of flowers, so dainty and so perfect that a [magnifying] glass is necessary to study the separate blossoms. The colors are as dainty and perfect as the flowers. Some of the illuminations take the form of landscapes. One represents a high, rocky coast; at whose base surges a blue sea. a bit of foliage in the corner of the picture shows a tropical growth of palms. Another initial represents a winged cherub carving with chisel and mallet upon a tombstone the letters “P. E. D” and in this inscription we have the first hint the personality of the writer. One tailpiece shows a colored man and brother dancing with banjo in hand, and his partner, gaudily dressed, is keeping time to his music. They might have belonged to a southern plantation before the war, and have been indulging in a regular “hoe-down”. The manuscript is written in Old French with an occasional use of Latin, creek, Hebrew, Arabic, German and English. The precision with which the Hebrew letters is formed marvelous. No Hebrew bible can be more perfect printed with modern type than is this work of unknown pen. The author has styled his tractions “stenography” but his idea of the word is not at all that of the present generation. It is really a most ingenious traction on the use of cipher writing. To use his own definition, “stenography” is the art of writing in such a way that only the writer and the person who has the key can comprehend what has been written. ”Then he goes on through sixty or seventy pages to give examples of various ciphers most of which consist simply of using one letter of the alphabet to represent another. He also employs Roman and Arabic numerals, for the same purpose. Curiously enough he has hit upon something very like our present telegrapher alphabet of dots and dashes. He does it in this way. He has printed the Hebrew alphabet on a strait line then he takes that part of each litter that touches the line to stand for the litter it self. And one glancing at the Hebrew alphabet can readily see how the dots and dashes come! Near the close of this remarkable manuscript which ends very abruptly, and as if writer had laid down his pen and brush in consequence of some interpretation and had never taken them up again - he gives one page of old English black letter, and his page contains the only personal allocation and the only hints as to the time and place of the writing. He says the work was done partly in “Martinique ” some chapters in New York some chapters in Philadelphia, and some in Charleston of Carolina Du Somitiri. “he says the wok has given him beaus up Du pleasure.” experience a hope that it will give as much pleasure to those who shall come “......”as it had given to him. He adds that he had spent eight years in writing, the sixty or seventy pages, and gives the date of the year in which he writes, this page of black letter 1776 then his initials only are attached, “P.E.D” a few pages are added as illustrated initial is party sketched and the unfinished work was laid aside - to be forgotten and uncared for unappreciated, tell now. The one question every one who sees this manuscript asks is, who and what manner of man was the writer? Why did he veil his personality in initials? French he must have been; highly educated, accomplished, a man of letters, and artist of more than ordinary genius, an artist of more than ordinary genius, and a man of leisure. Perhaps he was a dignitary of the Catholic Church, stationed at the different places he mentioned. Many of his illustrations and sketches might seem illuminates the hand of a priest. Whoever he was he must have been a man of leisure to be able to give whole days to the production of a single page. Had the work been done five hundred years ago one would not wonder so much at it, for then it was the vocation of many a monk to sit in the stillness of his cloister an illumination those wonderful manuscript upon which we now look with admiration. But that any man in those stirring. Eventful years that led up to the American Revolution and still later to the French revolution, could spend months and years in such fashion, excites our surprise and awakens our fruitless curios. could the writer have been a French nobleman who had fled to the New World to hide his grief at the rejection of his lover by. ... of The famous court. .herutier.. of. .... .... .... .... ... to. ... .. of. .... ...? was he a. ... to the. .... of. .... population? . ... is v..... but the writer’s which that his book might give much pleasure to those who should see it in after years is now fully gratified * After this article was written in 1994.The mysterious writer of the manuscript was determined to belong to no other than Pier Eugene Du Simitiere. If so, I fined that Al-Samiri is similar to Du Simitiere. *Pier Eugene Du Simitiere is a collector and an expert in witch craft, 1779, Du Simitiere had at least 135 ancient and modern coins and medals. He eventually exhibited these in a museum he set up in his home. Besides collecting, Du Simitiere was also a designer of medals for war. Al-Samiri same thing, a collector and a magician. To do magic he have to collect things to be as a references to the person he want to perform magic or to do a spill on some one or a nation or a country that he wants to bewitched, (Assameri collected the angels dust and gold). “Simitiere” = “ Samiri ”, Eugene = “ Manja ”(according to “Al-Montadem - page159”, written by Ben Aljawzi). Meet Al-SAMIRI. The mysterious man that lived long time ago, since the time of Mosses and Pharaoh! How did this happen? God said in the Quran: [20:83] "And what made you hasten from your people, O Musa (Moses)?" [20:84] He said: "They are close on my footsteps, and I hastened to You, O my Lord, that You might be pleased." [20:85] (Allah) said: "Verily! We have tried your people in your absence, and As-Samiri has led them astray." [20:86] Then Musa (Moses) returned to his people in a state of anger and sorrow. He said: "O my people! Did not your Lord promise you a fair promise? Did then the promise seem to you long in coming? Or did you desire that wrath should descend from your Lord on you, so you broke your promise to me (i.e disbelieving in Allah and worshipping the calf)?" [20:87]They said: "We broke not the promise to you, of our own will, but we were made to carry the weight of the ornaments of the people, then we cast them (into the fire), and that was what As-Samiri suggested. "[20:88]Then he took out (of the fire) for them a statue of a calf which seemed to low. They said: "This is your ilah (god), and the ilah (god) of Musa (Moses), but [Musa (Moses)] has forgotten (his god).'" [20:89]. Did they not see that it could not return them a word (for answer), and that it had no power either to harm them or to do them good? [20:90] And Harun (Aaron) indeed had said to them before hand: "O my people! You are being tried in this, and verily, your Lord is (Allah) the Most Beneficent, so follow me and obey my order. "[20:91]They said: "We will not stop worshipping it (i.e. the calf), until Musa (Moses) returns to us." [20:92] [Musa (Moses)] said: "O Harun (Aaron)! What stopped you when you saw them going astray; [20:93]"That you followed me not (according to my advice to you)? Have you then disobeyed my order?" [20:94] He [Harun (Aaron)] said: "O son of my mother! Seize (me) not by my beard, nor by my head! Verily, I feared lest you should say: 'You caused a division among the Children of Israel, and you have not respected my word!’ "[20:95] [Musa (Moses)] said: "And what is the matter with you. O Samiri? (i.e. why did you do so?)" [20:96] (Samiri) said: "I saw what they saw not, so I took a handful (of dust) from the messenger dust [Jibrael's (Gabriel)] and threw it [into the fire in which were put the ornaments of the people, or into the calf]. Thus my inner-self suggested to me." [20- 97]. (Moses) said: Then go! And lo! in this life it is for thee to say: Touch me not! and lo! there is for thee a tryst thou canst not break. Now look upon thy god of which thou hast remained a votary. Verily we will burn it and will scatter its dust over the sea. verily (for a future torment), you have a promise that will not fail. And look at your ilah (god), to which you have been devoted. We will certainly burn it, and scatter its particles in the sea). [20:98] Your EIlah (God) is only Allah, the One (La ilaha illa Huwa) (none has the right to be worshipped but He). He has full knowledge of all things. [20:99]Thus We relate to you (O Muhammad ) some information of what happened before. And indeed We have given you from Us a Reminder (this Quran). 9"I have seen these people," the LORD said to Moses, "and they are a stiff-necked people. 10Now leave me alone so that my anger may burn against them and that I may destroy them. Then I will make you into a great nation." More than 500 years after Mosses, After the division of the kingdom of Israel, Jeroboam set up two golden calves in his kingdom, one at Bethel and one at Dan (1 Kings 12:28-29) 28After seeking advice, the king made two golden calves. He said to the people, "It is too much for you to go up to Jerusalem. Here are your gods, O Israel, who brought you up out of Egypt." 29One he set up in Bethel, and the other in Dan. 30And this thing became a sin; the people went even as far as Dan to worship the one there. Read HALLELUJAH From Right to Left, in Aramaic and in ARABIC IT WILL MEAN THE CALF IS A “god” George W. Bush says he saw the North Tower impact before he went into the classroom in Florida, but he continued listening to a little girl's story about a Goat, and about a Calf that went mad.